YT Video SEO And Viral Promotion of your video to millions of viewers worldwide by SEO expert and social media influencer including high authority backlinks, embeds on high authority websites, bookmarks, shares on popular social media accounts with influence. Your video will be embedded with backlinks to your video and channel on my own high authority websites including abidly.com and some other websites depending on niche of your video. Share on 10+ high authority Tumblr accounts PA 28-70. This popular social network will increase your views, but also with dofollow links will boost your video SEO and SERP on Google. Share on popular FB page with over 15000 active followers. Also share on few other FB pages depending on niche of your video. By using this YT video SEO service, Google and other search engines will simply LOVE your video and rank will improve which will produce unstoppable constant organic traffic and views of your video in future. 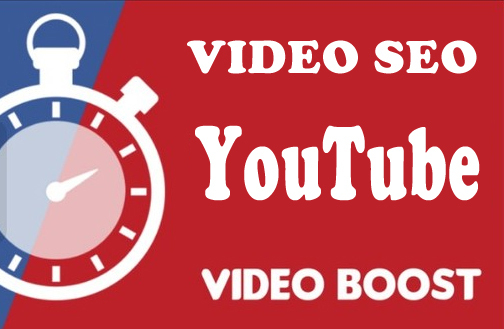 By buying this service you will SAVE OVER $59 instead of buying separate video SEO services!!! YT Video SEO Viral Marketing By HQ Backlinks Embeds Shares Bookmarks is ranked 5 out of 5. Based on 15 user reviews.